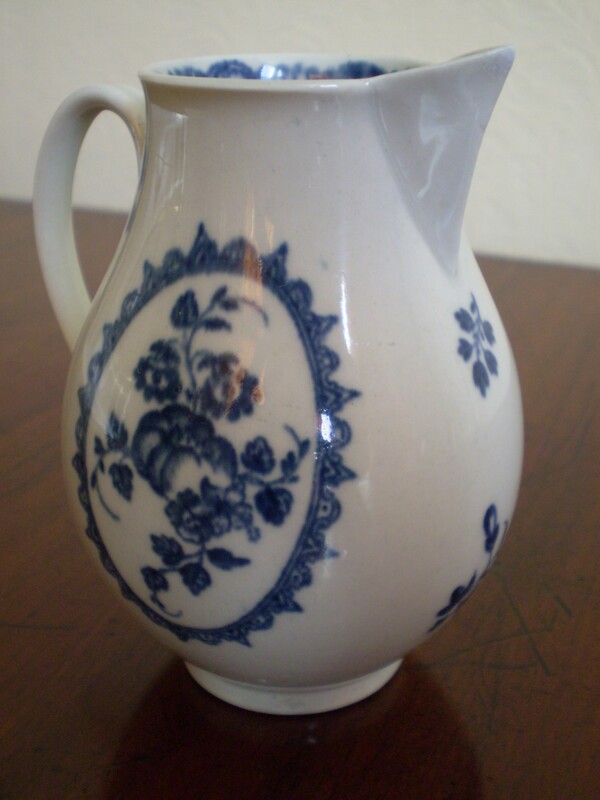 Description: A good Worcester sparrow beak jug, printed with the flower and wreath pattern in underglaze blue. Indistinct crescent mark. C1770-80. 9.5cms high. Condition: Tiny area of restoration to tip of sparrow beak.